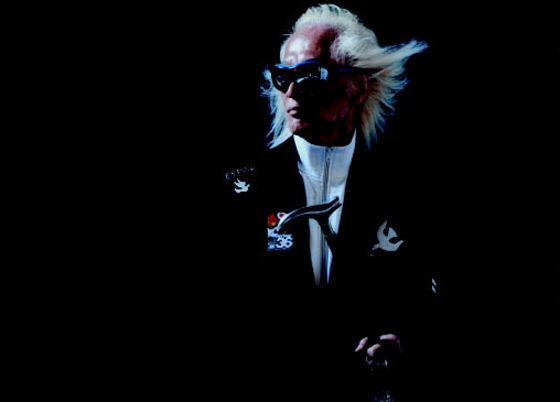 Yuya Uchida — one of Japan's most famed rock'n'roll figures — has died. The sad news was confirmed by Uchida's management Monday (March 18), revealing the Flower Travellin' Band mastermind had died of pneumonia at a Tokyo hospital. Uchida was 79. While little known in North America, Uchida was one of the key figures in Japan to spearhead the rock'n'roll movement in the country, both as a performer and producer. Most notably, Uchida formed Japrock legends Flower Travellin' Band, as well as performed as the opening act for the Beatles when they played Tokyo in 1966. Following the gig with the Beatles, Uchida famously befriended John Lennon. The Japanese musician formed Yuya Uchida & the Flowers in the late '60s, with the group going on to release their classic Japrock album Challenge! in 1969. After overhauling the band's lineup and shifting to a manager role, Uchida changed the band's name to the better-known Flower Travellin' Band, who went on to release such landmark albums as 1971's Satori, 1972's Made in Japan and 1973's Make Up. Uchida also famously produced the self-titled 1969 album by Japanese rock unit Creation (a.k.a. Blues Creation), in addition to working on a variety of projects in the Japanese music industry over his many years. Throughout his life, Uchida also worked as an actor, famously appearing alongside David Bowie and Ryuichi Sakamoto in Nagisa Oshima's 1983 classic Merry Christmas, Mr. Lawrence. Uchida also starred in Ridley Scott's 1989 film Black Rain. Besides those English-language projects, Uchida also starred in such films as A Pool Without Water (Mizu no nai Puru) and Mosquito on the 10th Floor (Jukkai no Mosukito), among others. Uchida's death closely follows that of his wife, actress Kirin Kiki, who succumbed to cancer last year. Kiki notably starred in Hirokazu Kore-eda's Palme d'Or-winning film Shoplifters, which only recently saw wide release in North America. The couple were married in 1973, but they infamously went on to live separately for more than 40 years. They are survived by their daughter Yayako. As previously reported, Flower Travellin' Band singer Joe Yamanaka died in 2011 at the age of 64.